Living… in Lanford, Illinois. 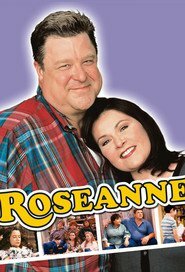 Jackie spends most of her time at the home of her sister and brother-in-law, Roseanne and Dan Conner, to the point where Roseanne eventually describes her as the backbone of the family. She is frequently head of household whenever Dan and Roseanne are out of town. Profession… frequently turning over. A true Conner (well, a Harris), it’s hard for Jackie to keep one job for very long. She often works with Roseanne, which is both good and bad for both of them. Interests… gambling and theater. Jackie is a fan of poker and betting in general, which leads her into trouble on multiple occasions. She also had a role in a community theater production of Cyrano de Bergerac. She’s also like a second mother to the Conner children and tries to help the Conners however she can. Relationship Status… ever-changing. Jackie has a long and unfortunate romantic history, and Roseanne has made her opinions known every step of the way. Challenge… overcoming her often passive nature. Roseanne’s domineering personality unintentionally – and sometimes intentionally – makes Jackie play second fiddle in most situations. Despite Jackie’s intelligence and warmth, she’s a chronic underachiever and can be comfortable playing the victim. At times it seems as if she considers herself unworthy of happiness. Personality… neurotic. She’s essentially ceded control of her life to Roseanne, and the issue of control is always a sore spot for them. Sometimes Jackie wants to be mothered, other times she insists on asserting her independence. She’s frequently crippled by her low self-esteem but seems to emerge out of her shell as the years progress. She’s always ready with a quip or a wacky idea that actually just might work. Jackie Harris's popularity ranking on CharacTour is #2993 out of 5,000+ characters. See our top-ranked characters and read their profiles.